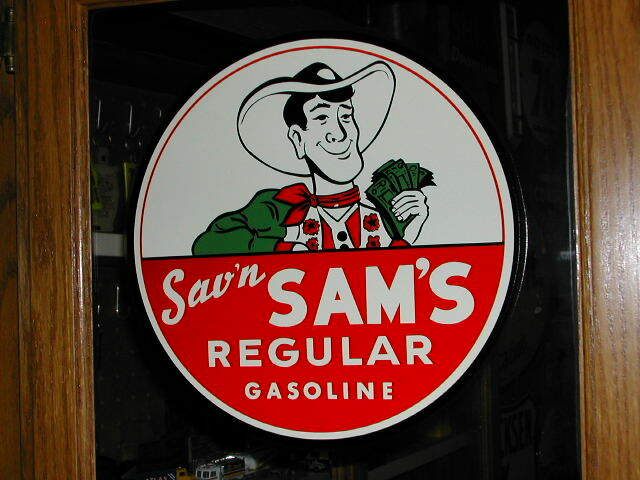 Sav'n Sam's Service Stations were found in Northern California. Owned by an Independent Jobber, no longer in the retail business. They carried 3 grades of gasoline, Regular, Ethyl, and Super Ethyl. This decal is one that would have been used on one of their pumps.